Many of us these days depend on caffeinated beverages, with our busy schedules and full workloads. We tend to know a lot about coffee, and not a lot about caffeine-free beverages such as herbal tea. And, what we think we know about herbal tea often isn’t even true! Any tea that contains the Camellia Sinensis plant is known as a “true” tea. This includes your various types of black, green, white, and oolong teas such as Earl Grey and Sencha Organic. Herbal teas are created using herbs (of course), seeds, roots, and plants barks and are actually called “tisanes”. Okay, so this one isn’t about herbal tea, but it’s still a common misconception! There have been many articles written about the magical properties of green tea that will help you lose weight fast; sadly, it’s not that easy. The “science” behind this myth is that green tea contains a stimulant that will supposedly boost your metabolism. While it’s true that green tea contains a stimulant, it’s not nearly enough to burn fat. If you’re looking to lose weight, start by lightly exercising for 30 minutes a day and try swapping out sugary beverages for a cup of green tea! It may seem like tea will never go bad; at least, that’s what all of us who have many packages of half-used tea in their pantries think. And while tea does last for a generous amount of time, it’s not as long as you might think. Loose-leaf tea will expire approximately 6 to 12 months in the pantry and 1 to 2 years in the freezer. If you’re looking to use up some of your loose-leaf tea that’s been sitting unused for too long, try out some of these ideas here! It’s well-known that pregnant women shouldn’t drink coffee due to its high caffeine content, but green and black tea also contain a fair amount of caffeine. 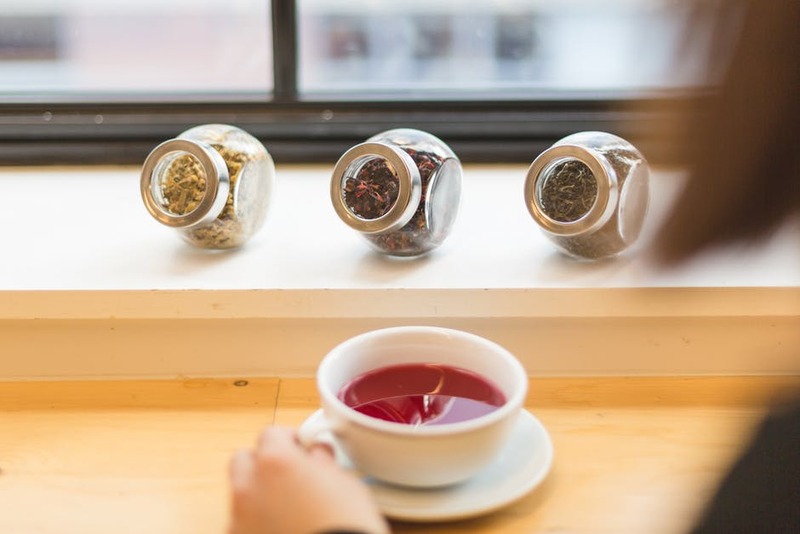 Although herbal tea is caffeine-free, it’s still advised that pregnant women talk to their physicians about all herbal products that they’re looking to consume. The name “herbal tea” insinuates that it’s going to taste like, well, herbs. But there are so many different herbs with various flavors and distinctions! Try a loose-leaf tea blend with lemon balm, like Sweet Dreams, for a more citrusy flavor. There are also teas with ginger that have a bit more spice! If you’re looking to try some delicious herbal teas, Dollar Tea Club offers a variety of premium loose-leaf herbal tea blends, such as Ease N’ Fit and Full Power! Dollar Tea Club also offers a subscription service so you can explore new teas every month for only $1. So, next time you’re brewing or purchasing tea, why not try out an herbal tea blend that you’ve never had before? Because believe us, they don’t all taste the same! This entry was posted in Did you know?, Funny and tagged dollar tea club, fruit tea, funny, herbal tea, history, lol, loose leaf tea, myths, myths about tea, natural tea, subscription, tea, tea myths, tips.